It’s that time of year! Time for spring cleaning! 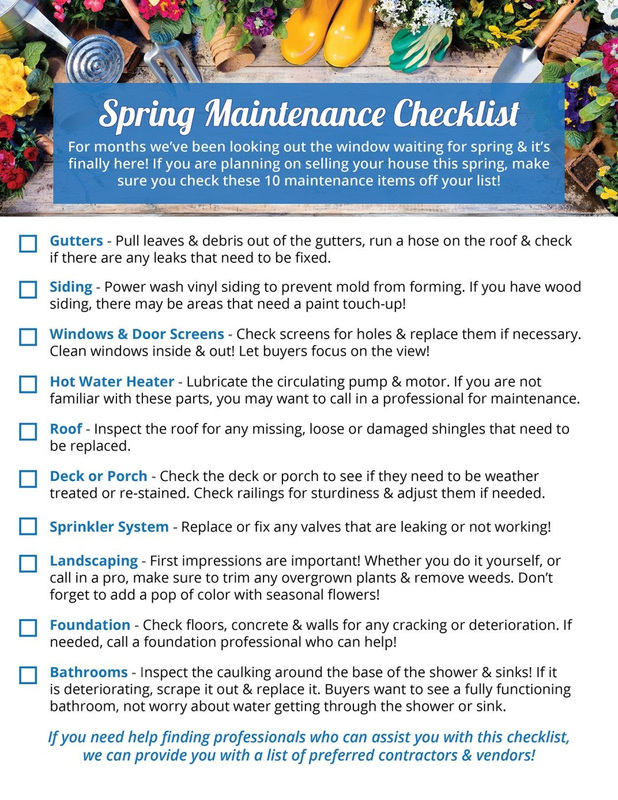 Here is an awesome checklist to get you started on some home maintenance, whether or not you plan on selling your home. If you need any vendor referrals, please feel free to check out my Preferred Vendors List here, or give me call/text at 214-762-4208! I would love to hear from you. Make sure to check back here at PamHeinrich.com for more News You Can Use from The Go-2-Girl-4-Real Estate!